Download the latest iPMI Magazine Provider Network Directory Company Guide January 2018. Featuring leading IPMI players Aetna International, Bellwood Prestbury, Cigna Global IPMI, DavidShield, Generali Global Health, GeoBlue, Globality Health, Integra Global, Pacific Cross International and Wellaway. 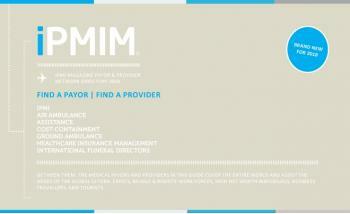 Plus check out the back of the publication for the broker directory. Did you claim your free line entry? Get listed, click here and fill in the quick form. Choosing the right international private medical insurance (IPMI) and health insurance coverage plan is critical for expatriates, offshore workers, tourists and business travellers. 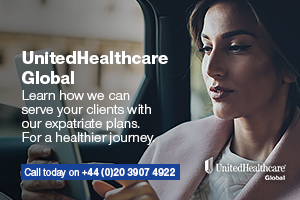 If you live, travel or work abroad then you will need the best access to private medical facilities and international medical insurance all year around. iPMI Magazine represents an eclectic mix and has a choice of specialist international private medical, health, expatriate and travel insurance companies allowing you to compare overseas international private medical insurance coverage and plans that may suit you and your family.